Negotiators from China and the United States have begun official trade talks in the Chinese capital, Beijing, in an attempt to prevent a festering of an ongoing dispute between their two countries. The new round of high-level economic and trade consultations was kicked off in the Chinese capital on Thursday morning by China’s top economic czar, Liu He, and Yi Gang, who is the governor of the People’s Bank of China, as well as US Trade Representative Robert Lighthizer and Treasury Secretary Steven Mnuchin. The world’s top two economies have been locked in an unprecedented tariff war with each other for the past seven months and have so far slapped duties on more than 360 billion dollars in two-way trade. The bruising trade conflict has already strained both countries’ manufacturing sectors and jolted global financial markets. On Wednesday, US President Donald Trump said that the talks with the Chinese side were “going very well” as both countries acknowledged that they had made major progress during a similar round of talks in Washington last month, but a vast gulf remains on some issues. In December last year, the American president imposed a March 1 deadline on Beijing, saying that if the deadline expired without enough concessions from China for a comprehensive trade deal, the US tariffs on 200 billion dollars worth of Chinese imports might increase from 10 percent to 25. On Tuesday, however, Trump partially relented, saying he was considering a 60-day extension of the current deadline in an attempt to give more time to the talks, depending on progress made in the Chinese capital. Mnuchin, the American secretary of the treasury, said US officials were “looking forward to discussions today,” as he left his hotel for the talks. The South China Morning Post reported on Wednesday that Chinese President Xi Jinping planned to meet with top American officials this week, boosting hopes for markets in Asia. Trump also said he expected to meet with his Chinese counterpart “at some point” to clinch a trade deal. 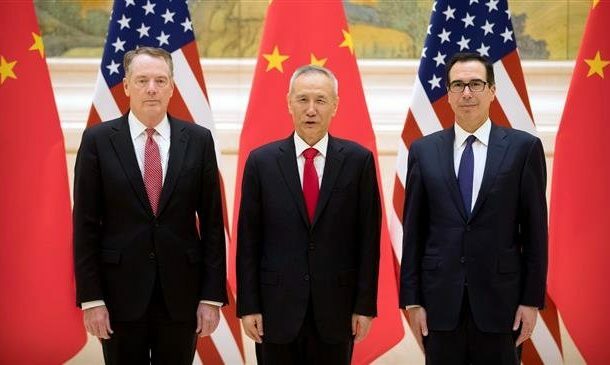 The US is demanding extensive changes to Chinese practices that the White House has branded as unfair, including the alleged theft of US technology and intellectual property. Washington also accuses Beijing of setting up myriad barriers for foreign companies to work in the Chinese market. China rejects the allegations. Beijing has offered to increase its purchases of US products but is widely expected to resist calls for far-reaching changes to its industrial policies.